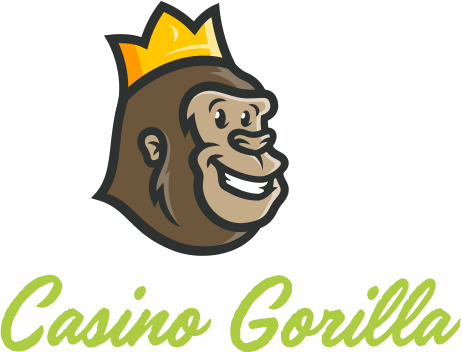 Our Gorilla has been moving around looking for online casinos with the best bonuses, but there is one thing that seems to be common with all casino bonuses: wagering requirements. The Gorilla noted that most of his new players are having a hard time understand exactly what wagering requirement means. So, being the casino gaming expert, one always ready to help his newbies, the Gorilla decided to write this article to explain everything you need to know about wagering requirements. The Gorilla started by identifying that in response to the growing competition in the online casino niche, most casinos are devising creative ways to lure new players their way. Free cash when you deposit and wager X amount. Or even free money – no deposit required. In most cases, the casinos notify punters that the bonus; the bonus plus related winnings; or the bonus plus derived winnings plus first deposit must be wagered X number of times before withdrawals can be allowed. The play through requirement (wagering requirement) serves to prevent online websites from going bankrupt. Also, wagering requirement make bonuses an exciting challenge by gamify your online casino experience. So, What Exactly Is the Wagering Requirements? The wagering requirement, also called the ‘play through’ requirement, state the amount of money you must bet in order to withdrawal the bonus and related winnings. The welcome bonus, and other bonuses you will be awarded, are normally deposit into your casino bonus account, not your real cash balance. The casino then specifies the wagering requirement. The wagering requirement is followed by a series of detailed terms and conditions. For example, wagers on various games could contribute differently towards the wagering requirements. For example, slots could contribute 100%, table games 50%, and bingo and Keno 0%. The bonus funds could also have a validity period within which you must meet the wagering requirements, failure to which the bonus and related winnings are confiscated. The Gorillas Says you should always check those annoying terms and conditions in full before signing up with any online casino – Read everything carefully! Play through or wagering requirements are often low for free bets and sports bonuses. The majority of these hoops also come with a list of terms and conditions that casino players should follow. Let’s assume that you have chosen an online casino that dolls out a seemingly generous, 100% first deposit match bonus up to £200. But there is a cap here if you look carefully: up to £200. So, it might be less than £200. 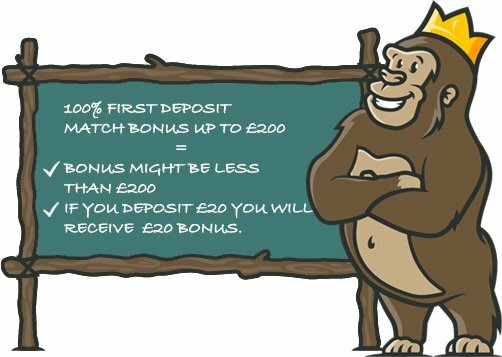 Besides, this bonus is directly connected to your deposit amount, meaning that if you deposit £20 you will receive £20 bonus. The welcome offer is valid for new players only. You must wager the bonus and related winnings 30x before withdrawal. As you can see from the points above, these bonuses are not as generous as they appear to be on the home page. Some people consider them to be a scam but they are not (simply do a little research beforehand). The 30x wagering requirements is fair for punters. Some casinos push it as high as 50x. This means that you need to bet a total of £300 before you can think of making a withdrawal. Money Deposited (£20) + Casino Bonus (£60) x Wagering Requirement (5) =£400. You will need to wager a total of £400 before you can receive your money. The TCs page clearly outlines the wagering requirements and all the necessary information about the bonus. You should also check if there is a limit on the amount of winning from bonus bets or cap on the max bet. Also, check if you can forego the bonus in order to make a withdrawal. It is important to know how long it will take when you forfeit the bonus before you get your winnings. What’s the bonus validity period? The minimum qualifying deposit? Do all deposit methods qualify for the offer? Do bets on all games contribute towards the wagering requirements equally? Read the terms and conditions fully and confirm everything before opting in. They secure your personal and financial data using the latest encryption and robust internal data handling policies. They hold licenses from the UK Gambling Commission for UK punters and other relevant iGaming regulatory authorities. 24/7 customer support via phone, email, live chat, and extensive FAQ. Active presence on social media pages. Neat, HTTPS secured website, with lots of blogs and how-to guides for the players. A variety of baking options. Affiliation with institutions that promote response gaming such as GamCare. Audited and certified fair by external auditing firms such as TST. A reputable casino will always list all the bonuses and related terms and conditions, removing the hassle and stress of trying to uncover them. Seasoned casino players will tell you that different casino game contribute differently towards the wagering requirements – this is usually one of the bonus terms and conditions. Table games often contribute less than slots. So, as a rule, the Gorilla recommends playing slots with your bonus money. Below are a few slot games that will contribute towards the wagering requirements and give you a huge chance of winning regular amounts (they have the best RTP or 97% and above). Untamed Giant Panda – With a 97.1% RTP, this slot dolls out lots of small payouts. It flaunts an interesting theme and exciting features. Beautiful Bones – The game pays out both regular jackpots and small winnings. This makes it the perfect slot for meeting your wagering requirements. It comes with a 97.6% RTP. Dr. Lovemore – This is a traditional slot with a 97.01% RTP, and lots of nice multiplier and bonus features. A Night Out – It has a 97.06% RTP and some superb gameplay features that can help punters rake in unbelievable wins. Blood Suckers – Blood Sucker is popular slot with a published RTP of 98.0%. It won’t offer you gigantic winnings, but it will make the most of your money and give you a superb gaming experience. Mega Joker – Similar to Blood Suckers in terms of game mechanics and gameplay, this slot provides value and ideal conditions that will help you to fulfil your wagering requirement faster. It has a 99.0% RTP. Low Variance Slots – They pay out regular but small wins. They have low probability of paying out huge wins. Medium Variance Slots – These games offer high and low wins at an almost equal frequency. High Variance Slots – High variance slots don’t pay-out regularly, but when they do, the wins are life-changing. Your strategy should include a combination of high and low variance slots for the best possibility of beating the wagering requirement. Generally, you should begin with high variance slots for a few rounds to get some good rewards. If you manage that, turn to low variance slots and gradually fulfil the wagering requirement. By law, online casinos are required to visibly display the wagering requirement next to the bonus or free spins offer. They must also provide a link to the full terms and conditions of the offer on the promotion page. If you cannot locate the exact wagering requirements, let’s assume the casino simply states that “wagering requirements apply”, go to the terms and conditions section of the casino. You can easily avoid wagering requirements if you do not request the bonus or you opt out of the offer. This way, you will be playing with your own money right from the start and your wings won’t be subject to wagering requirement. The easiest way to avoid a welcome bonus or any other bonus is to talk to the customer support agent and request them to remove you from the bonus program. The advantage of a tiered wagering process is that it allows you to play in instalments, making it ‘more affordable’. A wagering-free casino bonus has no wagering requirement. Normally, you won’t be allowed to withdrawal the bonus funds, but winnings from bonus spins or money are credit to you real cash balance. You can withdrawal them as you wish. To avoid going bankrupt, casinos usually put a cap on the maximum amount you can win from bonus wagers. For example, you may be required to deposit, and wager a given amount, deposit a certain amount and so on. 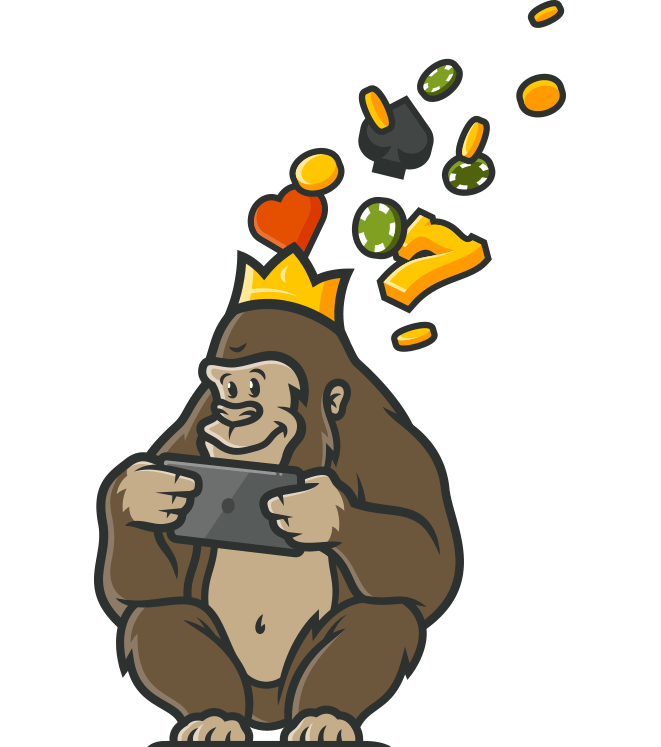 The Gorilla loves the new breed of casinos that have focussed on gamification, giving punters lots of bonuses, free spins, VIP gifts, and promotions each day of the week. He feels that such promotions, especially the welcome offer, give his players a chance to try out the various games in the casino without risking too much of their own money. As the expert Gorilla says, always check the wagering requirement and the complete terms and condition of the bonus. Also, remember to play responsibly. Let see where the Gorilla will take us next as it continues with its everyday adventure.